Ever since the Kardashians broke out onto the sphere of cultural awareness, it seems that they've been monopolizing pop culture headlines. 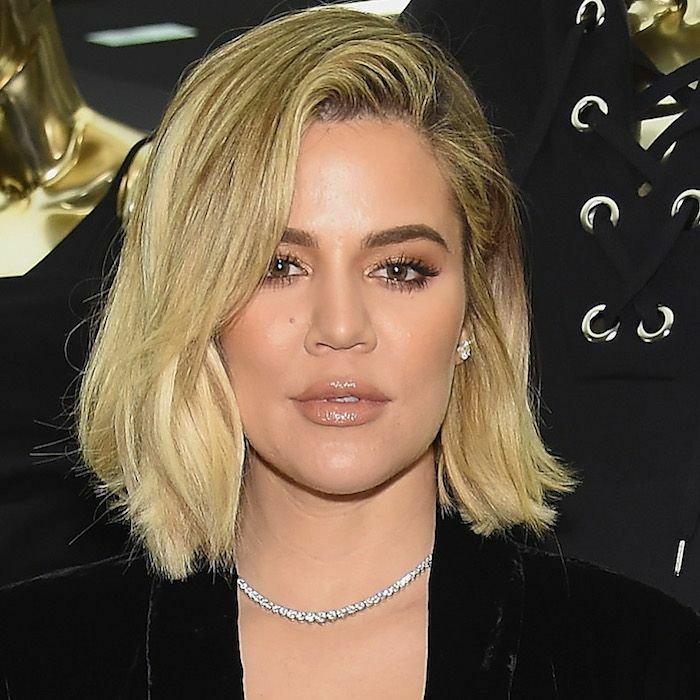 Whether that's through relationship drama, new business endeavors, or, yes, pregnancy announcements, there always seems to be a new Kardashian tidbit to gossip about over a cup of coffee. First there was Kourtney Kardashian's pregnancy announcement, which would be followed by two more. Kim followed suit, announcing her third child via surrogate earlier this year. Then there were the rumors that Khloe and Kylie were pregnant. While the latter hasn't been confirmed or denied, Khloe took to Instagram to share her happy news last week. Since then, she's been active on her social media accounts, including Snapchat, which is where she shared her current favorite skincare products. We, of course, took notice—especially since she so expertly mixes high-end products with drugstore favorites. Keep scrolling to see all of the skincare products Khloe Kardashian posted to her Snapchat. Kardashian posted this image to Snapchat, showing eight different skincare products in total. The one that stood out to us first was the Bioderma Sensibio H2O ($11). It's a cult-favorite micellar water that we love to use for removing makeup and cleansing dirt and oil away from our skin. (Experts swear by it too—makeup artist Katie Jane Hughes names it as one of her five favorite products of all time). Another French pharmacy pick that Kardashian uses is the Embryolisse Lait Creme Concentre ($16). It has a fine, milky texture that sinks into the skin and hydrates with shea butter, aloe, and soy proteins. The French product theme continues with the La Mer The Intensive Revitalizing Mask ($170) and Genaissance de La Mer the Serum Essence ($630). Just like all La Mer products, they're formulated with ingredients from fermented sea kelp to nourish and repair the skin's natural renewal processes. Both of these products (particularly the serum) are incredibly expensive, though you can't get much more luxurious than La Mer. Her other picks include the PanOxyl Anti-Acne Face Wash ($13), Charlotte Tilbury Magic Cream ($100), which is another Byrdie favorite and IS Clinical Active Serum ($78). Clearly, she's all about hydration, as almost all of her favorite products add moisture to the skin. The last product in her line up is Cosmedica's Hyaluronic Acid Serum ($11), which is a perfect product for winter since the hyaluronic acid molecule can hold up to 1000 times its own weight in water. Khloe posted the picture with a red heart emoji. We mirror her sentiments since some of these products are our long-time favorites. We will do as Kardashian does and bring them back into our winter skincare rotation to supercharge our skin with moisture. Thanks for the recommendations, Khloe! Next, see the two products Kim Kardashian-West swears by for a healthy and hydrated complexion.